Home » Picture Books » Reviews » Reviews by Susan » Sport » Susan Whelan » Review: Howzat! Cricket is a sport played all over the world, a fact celebrated in this wonderful picture book. As the text by Mike Lefroy takes readers through the experiences of the players during a game, Liz Anelli’s illustrations tell a slightly different story, highlighting the many countries and cultures that enjoy playing cricket. Howzat! emphasises the way this game connects children around the world as they play cricket with their friends, whether in backyards, parks or on the beach. The rhyming verse text shares some familiar cricketing terminology – wicket, snick, silly mid-on, spin, googly – as it talks through the progress of the game with players coming in and out, hitting sixes, bowling and fielding. Each double page illustration features the experiences of children in one of twelve different countries including England, Kenya, Afghanistan, India, Bangladesh, the US and Antigua and Barbuda. Australia and New Zealand feature too, of course, with an Australian game of beach cricket illustrated in a setting that will look particularly familiar to Novocastrians. Each illustration includes the country flag somewhere as a clue to the location. 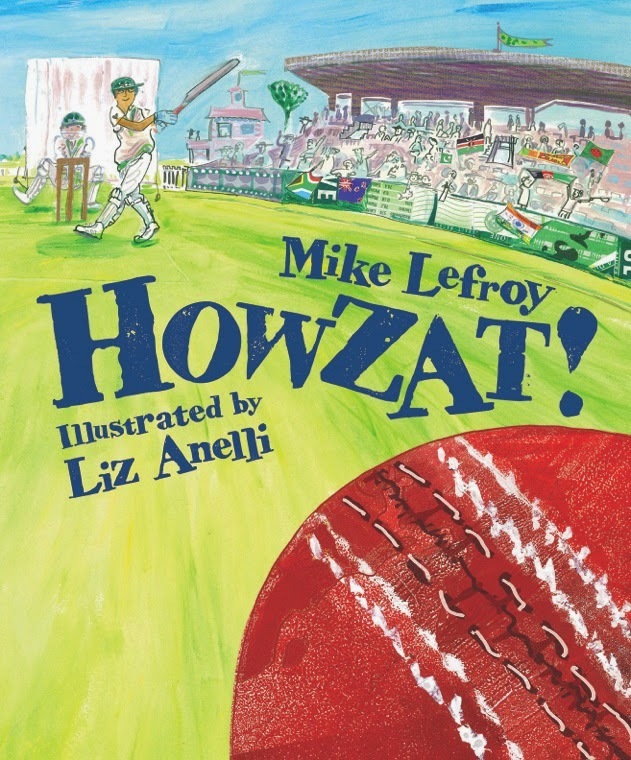 A great book for young children who love cricket, Howzat! is also a wonderful tribute to how some sports unite cultures and cross boundaries through the shared love of the game.